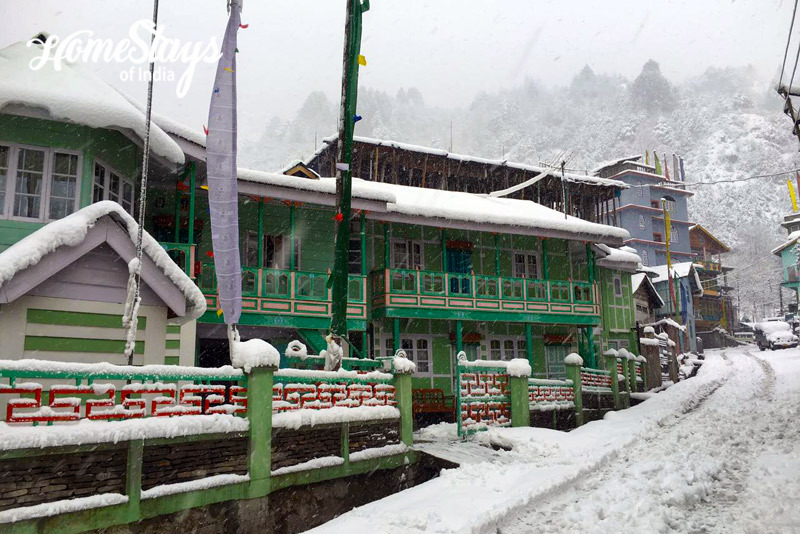 Lachen, a scenic mountain village is the home to Lachenpas, a unique Sikkimese Bhutia community. About 107km north of Gangtok, Lachen is located at an altitude of 9022 ft. The valley is endowed with more than 65 glaciers, and numerous glacial lakes and streams which bring with it a wide variety of biodiversity. Foot trails to the country’s highest mountain peak Mt. Khangchendzonga and the most beautiful peak Mt. Sinolchu begin at your doorstep in Lachen. The village comprises of less than 200 houses, earlier inhabited only during winters by their owners who spend their summers on the alpine pastures bordering Tibet tending to their yaks. Lachen is the starting point for some of the most interesting treks in North Sikkim as well as the gateway to the holy Guru Dongmar and Tso Lhamu lakes. The area is restricted for foreigners, but special passes can be procured in advance. 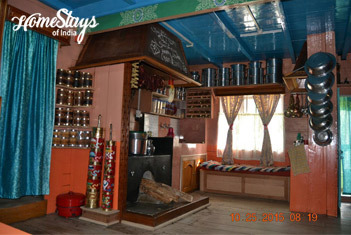 Lachen home stay provides you a unique experience of the local culture, traditional lifestyle and also serves the guest with a traditional meal. The Lachenpas has a unique culture and has been highly appreciated in terms of hospitality. 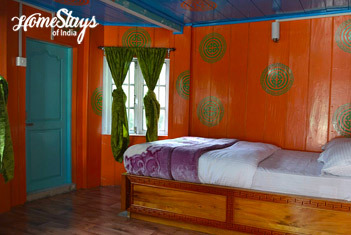 All home stay hosts have been trained to ensure visitors comfortable in every way. Our home stay has total 4 rooms; 2 with attached bathroom and other 2 are with common. 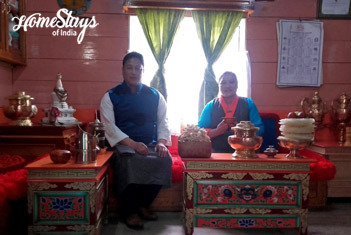 Tsewang is a nature lover and working hard to preserve cultural heritage, environmental conservation and tourism in Lachen. He also is engaged in social activities to aware community and tourist about waste management. He loves to talk about the history of Sikkim and current social affairs. Tsewang offers homemade Sikkimese breakfast. You may ask for Tingmomo with Aludam and Chholay, Parathas, Sandwich, Butter Toast and Omelets etc. Dinner can be with local organic vegetables or North Indian. You may ask for traditional millet bear (Chang), Momo, Thukpa, etc. Non-veg. is available on prior demand. • Participate in daily livelihoods activities of the Lachenpas. 1. Always travel with a guide. 2. Avoid littering and dispose garbage at designated place. 3. Respect and be sensitive to cultures of the community and home stay families. 4. Dress modestly. Be aware of the customs, manners and the culture of the local people. 5. Do not buy endangered species or antiques. 6. Do not give sweets or money to children, it only encourage begging. 7. Do not drinks, smoke or talk loudly near sacred places. 8. During your stay, your guide and driver are not allowed to stay in host home.